Felt And Wire Wash Equipment | EGM, LLC. The industry experts at EGM recognize that every paper machine clothing cleaning system is different. This is the reason EGM is the most trusted supplier for felt and wire wash systems. Whether the need is for continuous or batch; acid, neutral or alkaline; solvent or surfactant; forming, press or dryers, the EGM staff can design the most cost effective, versatile, and reliable system. 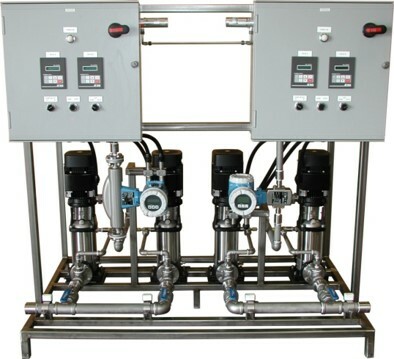 From simple continuous metering pump units to multi-functional batch and continuous systems that include water heaters, shower water pressure control, concentration control, and time or event-based dosing, the EGM team is well versed in what components, configurations, and control strategies deliver the best results.